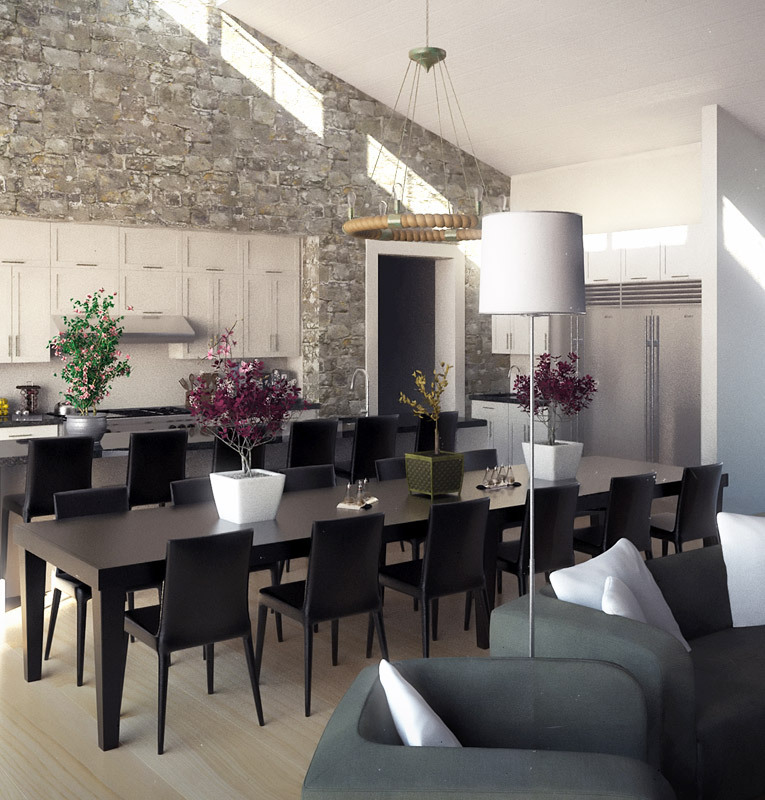 Those of us in the field of 3D often use the term “3D” very loosely – when artists often refer to the term, we typically mean to discuss a 2D image that has a more realistic perspective (lighting, shadows, and angles) that would be representative of a standard photograph. Just like our standard “3D artwork”, a photograph has no actual depth of perception and in reality isn’t technically “3D.” Truthfully, I do not know what to call this mis-labeling or misnomer – it’s a term which has been misused by the “3D” community for several decades now and I have even come into the habit of frequently using this because it is something most people have come to relate-to. Perhaps a term such as “CG Perspectivism” would be more accurate and appropriate for these works. A traditional 3D rendering by myself. Although this resembles an actual photograph, it does not convey an actual sense of depth perception. In regards to 3D as in the true term of “a sense of depth”, there is a bit more to the technology than meets the proverbial eye. It involves a certain level of understanding our own human physiology as well as developments in 3D technology. In order to lend an image an actual sense of depth, it requires that we have stereoscopic vision – a left and a right eye. Sir Charles Wheatstone was the first person to describe this physiological effect called stereopsis. His term dates back to 1838. Sir Charles Wheatstone also went on to invent the Pseudoscope in 1852 which eventually became the forerunner into modern stereoscopic imaging technologies. There are several different “modern” methods and technologies which can trick our vision into believing that a photograph, movie, or “3d” scene really has a sense of depth. All of this still has it’s basis in the pioneering research of Sir Charles Wheatstone. These methods often involve separating an image apart into two different components, a “left” and “right” image of the same object or scene. An optimal formula for determining and calibrating depth perception involves measuring the distance between the left and right eyes in relations to the focus or distance of an object and applying it to an image that we are viewing. Stereographic Cards and Pictures. These are two images side-by-side taken or photographed from slightly different angles. These cards often involve forcing one’s eyes to cross in order achieve this sense of depth. Transparency Viewers. These are devices such as the View-Master that you hold up to your eyes and view stereographic slides. Head Mounted Displays. These involve helmets or glasses with LCD or OLED displays. This may involve photographs or Virtual Reality scenes. This is perhaps the most recent technology at the time of this writing. It can provide a wide-range of depth and motion. Liquid Crystal Shutter Glasses. This active method involves wearing glasses that can alternate and sync shutting on and off the left and right sides of these glasses in synchronization with the refresh rate of your monitor or TV. As of 2010, the majority of “3D televisions” on the market fall into this category. Most standard computer monitors and flat-panels only have a refresh rate of 60 Hz, whereas a “3D television” or “3D monitor” has double (120 Hz) signal. Costs associated are typically high, and hence movie theaters do not employ this technology. Polarized Glasses. Images are superimposed on to the screen through orthogonal polarizing filters. In turn, the viewer wears glasses with orthogonal lenses. These lenses are generally clear, but darker in color and result in some loss in brightness. This method is commonly used in movie theaters as of the time of this writing. Anaglyph Glasses. There are several sub-types of this 3D Viewer category, but for the sake of this article I will keep it brief. If you would like to read more on the topic, I would recommend visiting the Wikipedia article here. Anaglyph glasses are the more traditional method of viewing 3D images, often with the separate red and cyan lenses. As of more recent technological developments involving higher resolution filming and displays as well as better methodology, different lens colors are being used to help add natural color back into these images and also to better align left-right images more accurately. Further refinements has helped reduced the apparent color tint in some of these lenses. Some of the newer methods even help make an image appear normal without the use of glasses. Some 3D artists including my work and company, LunarStudio can produce cost-effective anaglyph images which are viewable with glasses. Display with filter arrays. This is a similar concept to lenticular prints, but involves two LCDs on top of one another and shifted slightly. This doesn’t require glasses but may limit the sense of depth at specific viewing angles. Holographic Prints. Holographs could be almost thought of as a very fine prismatic lenticular print, but instead of being only viewable on a horizontal plane, it can be turned in many different planes of direction and still be viewable. It relies on embossing a medium on very fine, microscopic level. This embossing in turn diffracts the wavelength of light which appears to change depending on how we turn the medium. Recent advances in holograph and computer technology have improved image and color quality substantially. One company that is pioneering holographic technology for print is Zebra imaging. My company, LunarStudio is able to make 3D illustrations and models which can be printed by their services. I’ve posted an example of their latest work below. For example, if I held a red sheet in front of a viewer in flat/neutral lighting conditions perfectly perpendicular to the sheet, no matter how I turned it – the red will appear red. However, if I altered the light source to remain fixed, the red sheet will start to display gradations of black and grey – or shading and shadows. It is the black and grey (or absence of color) that lends an object the sense of depth aside from our separation of background noise and blur. Instead of shifting primary colors in a traditional anaglyph sense, I believe you could probably shift the black/grey (or K) values slightly to achieve a similar 3D stereoscopic effect. This may result in something similar to camera Depth of Field/blur which is a often an exaggerated form of depth perception. Combine this grayscale separation technique with a fine lenticular type of lens that alternates between gradated shades of black/grey instead of primarily relying on the RGB color components, I believe you could potentially achieve a much better stereoscopic effect. In theory, I suppose my idea is somewhat similar to polarizing techniques, but retains much of the original color fidelity while perhaps losing out on some edge sharpness. However, at fine resolutions, the effect may not be as noticeable. In my mind, it’s an interesting concept. I do not have the time, money, or energy to invest myself in experimenting with the potential here. I would be honored if someone was able to take my idea and turn it into a working prototype. Also, perhaps someone has already experimented with a convergent idea and that I’m not aware of its prior existence. There are many different methods for us to perceive a sense of depth within an image, or “true 3D” as I’d like to call this. The field is constantly evolving, improving, and there are no shortages of ideas to be explored. Most of our limitations revolve around understanding and techniques compounded with production costs. Obviously, a simple red/blue anaglyph pair of lenses is much more cost-effective to produce and simpler to deploy to a large audience than a fully immersive Head Mounted Display. Due to these costs, most of us have been unable to experience some of these more recent technological developments first-hand. On the other hand, higher costs for the most ground-breaking technologies are also pushing increasingly better and less expensive technology to a more receptive, consumer-friendly audience. Our desire for this format as a society is growing insatiably. 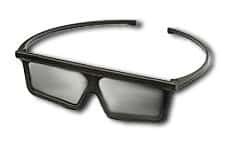 Some however remain “unconvinced” – they insist on referring to this progressive 3D trend as a gimmick. There will come a day when 3D stereoscopic cameras become commonplace and our viewing technologies improve to the point where we don’t have to rely on other devices such as glasses. These movies will look completely natural, and a reverse social psychological effect will occur – when viewers look back at our old method of cinema, games, and photography – they will consider anyone producing work with these techniques using the traditional 2D flat-style as the ones pulling a stylistic gimmick.